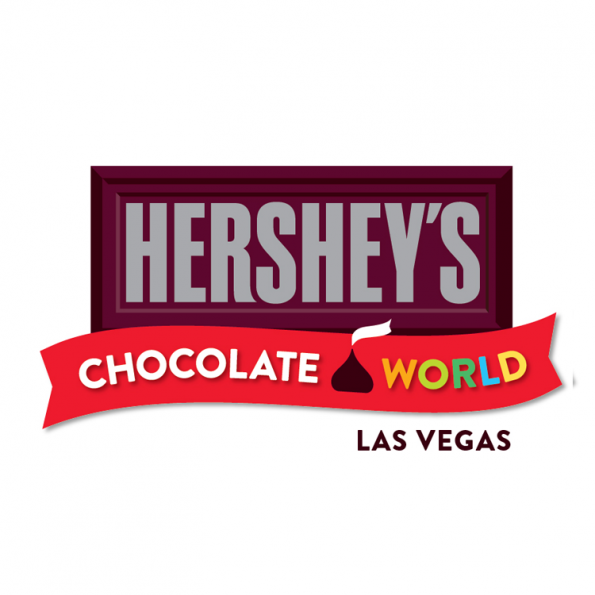 The Hershey’s Chocolate World store at New York-New York Hotel & Casino, the West Coast flagship store, is sweetening up its Bake Shoppe this fall with specialty seasonal treats. Guests can enjoy a variety of sweet and savory handcrafted, Hershey-inspired desserts perfect for any occasion. The Bake Shoppe is located in the heart of the 13,000-square foot store and features over 60 desserts and sweet treats made fresh daily. Guests are invited to take a bite into the season with specialty treats created by Chef Vaughn Trannon including Reese’s Peanut Butter Cup Supreme Brownies, enriched with Hershey’s milk chocolate and topped with Reese’s Peanut Butter Cups; S’mores, made from scratch with marshmallows, graham crackers and of course, Hershey’s milk chocolate; Cannoli, handmade, dipped in Hershey’s milk chocolate and topped with Reese’s Peanut Butter Cups and Hershey’s milk chocolate; and Hershey’s chocolate-covered bites including bacon, dipped in Hershey’s milk chocolate and rolled in a variety of toppings, and popcorn, available in Hershey’s milk chocolate and jackpot, a flavored assortment, varieties. In addition, the Hershey’s Chocolate World Las Vegas store has teamed up with local favorite, Freed’s Bakery, to create decadent Hershey desserts such as the Kisses Chocolate Ganache, Chocolate-Peanut Butter Mousse, Chocolate Rolo-Caramel Cupcakes and white and milk chocolate hand-dipped strawberries, all made with delicious Hershey’s candies. The venue’s signature cupcakes, cookies, cakes, brownies and hand-dipped delights, including chocolate-covered popcorn and pretzels, also will be available for purchase. Locals and tourists alike can make the Hershey’s Chocolate World Las Vegas store their go-to bakery for any occasion. From anniversaries to birthdays, and everything in between, guests can order fresh baked treats daily. To place an advance order, please call (702) 437-7439. For more information, please visit www.hersheyschocolateworldlasvegas.com or on Facebook at www.facebook.com/HersheysChocolateWorld. Fans also can share their Hershey’s Chocolate World experiences via social media by including #chocolateworld. The Hershey Experience is the direct-to-consumer and experiential marketing division of The Hershey Company including Hershey’s Chocolate World Attractionsin Hershey, Pennsylvania; New York Times Square; Chicago; Niagara Falls, Canada; Shanghai; Dubai, United Arab Emirates; Singapore; and Las Vegas. The Hershey Experience also includes Hershey’s Licensed Food and Merchandise, Hershey’s World Travel Retail, and Hershey’s e-commerce initiatives. Hershey’s Chocolate World Attraction in Hershey, Pennsylvania, is the flagship experience for The Hershey Company and is the most visited corporate visitor experience in the world, featuring Hershey’s Chocolate Tour, Create Your Own Candy Bar,Chocolate Tasting Experience, 4D Chocolate Mystery and the World’s Largest Hershey’sCandy Store. HersheysStore.com is the online destination for unique chocolate products, gifts, apparel and collectibles. In addition, The Hershey Experience operates retail and e-commerce businesses for Hershey’s artisan chocolates, including Scharffen Berger and Dagoba brands. At Hershey, goodness has always been about more than delicious products. For 120 years, Hershey has been committed to good business by operating fairly, ethically and sustainably to make a positive impact on society. This means contributing to a better life for its employees, consumers, communities, and, ultimately, creating a bright future for children in need. This commitment is exemplified by Milton Hershey School, established in 1909 by the company’s founder and administered by Hershey Trust Company. The children who attend the school receive education, housing, and medical care – thriving as direct beneficiaries of The Hershey Company’s success. Inspired by the famous energy and landmarks of the iconic original, New York-New York Hotel & Casino features 12 New York-style skyscrapers showcasing 2,023 guest rooms and suites. Other nods to the Big Apple include a 150-foot-tall replica of the Statue of Liberty and a 300-foot-long newly redesigned replica of the Brooklyn Bridge. Within the resort, guests discover all the excitement of the city that never sleeps including the provocative and sensuous Cirque du Soleil production, Zumanity; the thrilling Roller Coaster; and the fun-filled dueling pianos of the Bar at Times Square. A dynamic new plaza experience features fun and unique dining and retail destinations including a two-story flagship Hershey’s Chocolate World, Shake Shack, Tom’s Urban, Swatch, Stupidiotic and I Heart New York-New York. Tantalizing restaurants inside the hotel include Gallagher’s Steakhouse, Il Fornaio and Nine Fine Irishmen, an authentic pub offering the best of Irish drink, food and music. Additionally, New York-New York offers more than 24,000 square feet of meeting space and a rejuvenating spa and salon. New York-New York is an indirect wholly owned subsidiary of MGM Resorts International (NYSE: MGM). For more information and reservations, visit newyorknewyork.com, call toll free at (866) 815-4365 or find us on Facebook and Twitter.